Hey, I'm Keith! A lot of the time, people don't see the faces I see in inanimate objects. So, I decided to illustrate them in a cartoonish way and write little stories about them to bring them to life. You can follow me on Instagram where I post more of my art. Dude, we all have it. It's called being human. Looks like the Red Skull on a bad day. Was thinking the same. 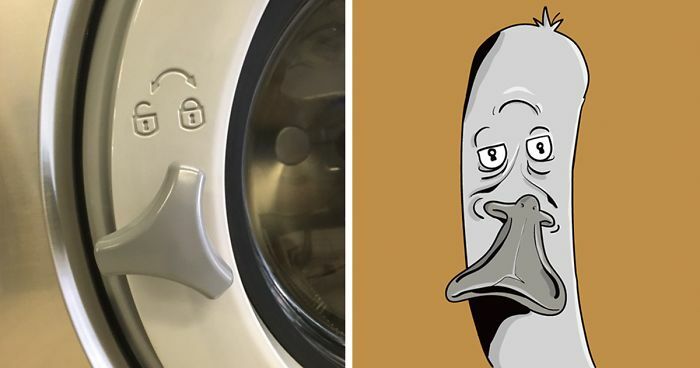 Pareidolia is our default mode. "The scientific explanation for some people is pareidolia, or the human ability to see shapes or make pictures out of randomness. Think of the Rorschach inkblot test." - (Pamela Ferdinand). It's a tendency that we all share - true. But some are more inclined to do it consistently, and just a few are gifted to draw it out. We all have pareidolia. Some people have it more intensely than others. It explains the Face on Mars, Jesus appearing in toast, et cetera.